There is a certain kind of mind that loves to fill out forms. You might possess this kind of mind if you look forward to preparing and filing your income tax return every year and if you enjoyed reviewing your children’s college applications before they submitted them. Even the most organized people would understandably find it difficult to prepare and file their own forms for a workers’ compensation case. Fewer things are more stressful than suffering a serious injury and having to create and implement a plan for financial survival while you are unable to work. The Illinois Workers’ Compensation Commission (IWCC) rejects thousands of documents every year or returns them without acting on them because of errors on the part of the person filling them out. If you run into trouble when working on your workers’ compensation forms, it is a good idea to consult a workers’ compensation lawyer to help you with your case. An experienced workers’ compensation lawyer can help you navigate the steps to recovering compensation for your work injuries. The only accident report forms the IWCC accepts to open your workers’ compensation case are form IC45 and form IC85. The employer is the one who must complete form IC45 and file it. This form is required every time an employee suffers a work injury that is serious enough to require the employee to miss three or more days of work. It is a one-page form that asks for the contact information of the employer, the employee, and the employer’s insurance company. It also asks when the injury occurred and what time the employee began his or her shift on the day the accident occurred. The employer then briefly describes the accident, the injury, and any medical treatment the employee received in connection to it. Form IC85 also asks about benefits paid to the employee in connection with the accident. The form which injured workers use to apply for benefits is form IC01. Most people who file this form do so with the help of a workers’ compensation attorney. It is possible to file this form without an attorney, and the IWCC has guidelines for people who are representing themselves in their workers’ compensation cases. The first page of the form asks for general information about the injured worker and the place, time, and nature of the injury. The second page is for proof that a copy of the form was delivered to the respondent, namely the employer against whom the workers’ compensation claim is being made. This page of the form must be notarized. Although workers’ compensation laws are designed to help people injured on the job get the support they need, applying for workers’ compensation benefits can be an arduous and time-consuming process. An experienced workers’ compensation lawyer can help you navigate the steps to recovering compensation for your work injuries. 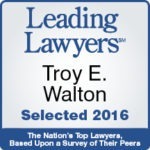 Contact Walton Telken Attorneys at Law in the Edwardsville, Illinois area to see if you need help with your workers’ compensation claim or are considering filing a lawsuit. If Psychological Trauma Is a Workplace Hazard, Can You File a Workers’ Compensation Lawsuit Because of It? Do You Need to Hire a Workers’ Compensation Lawyer, or Will Your Workers’ Compensation Claim Resolve Itself? Are Sick Building Syndrome Patients Entitled to Workers’ Compensation Settlements?